The building at 25 McLean Place was indeed a horse livery in its early years. 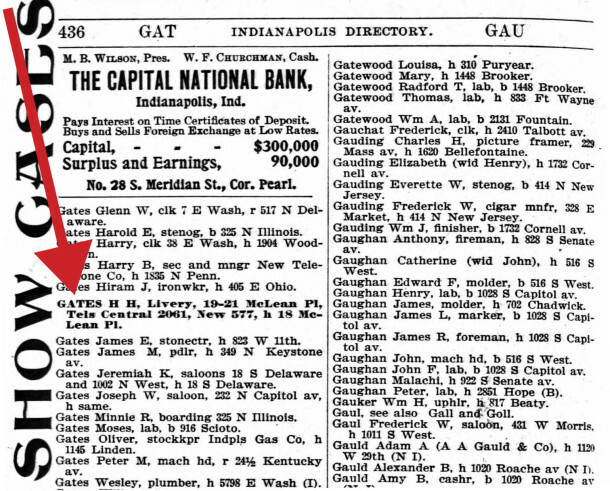 The first Indianapolis City Directory in which the property appeared was in 1900, so it was likely to have been built earlier that year or late in 1899. The proprietor of the establishment was named H. H. Gates. The building originally had addresses of 19 and 21 McLean Place, but today all of the structures on the south side of McLean Place — from the alley behind Meridian Street and continuing west to Illinois Street — have the same address of 25 McLean Place. For readers who may not be aware, McLean Place is an east west street between 21st and 22nd Streets. Prior to 1898, when the City of Indianapolis renamed streets and renumbered addresses to improve consistency, McLean Place was known as 13th Street. The street runs for only a few blocks, from Meridian Street on the east to Senate Avenue on the west. The livery was operated by the aforementioned Gates from 1900 to 1903. The owner of the stable from 1903 to 1909 was Charles F. Kennedy. He resided at 2030 N. Pennsylvania Street, a block-and-a-half away from the business. 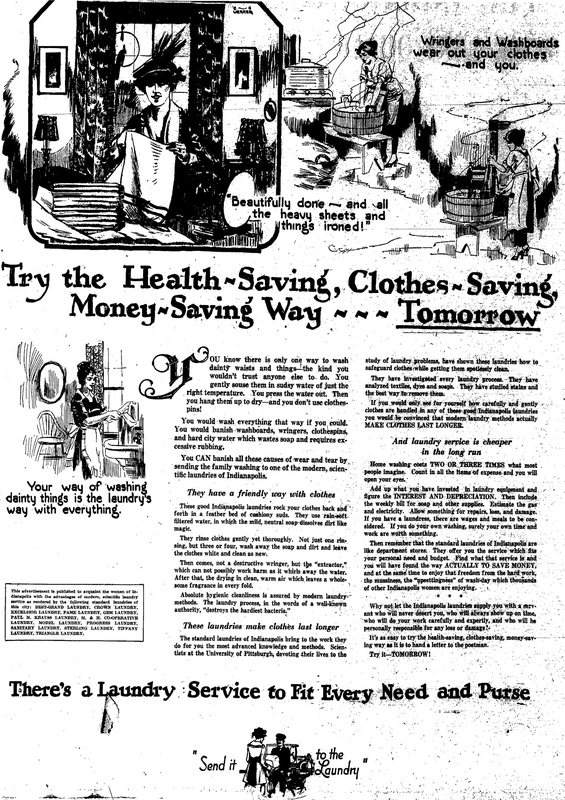 In 1909 and 1910, the proprietor was Jacob Councelman, who lived across the street at 20 McLean Place. 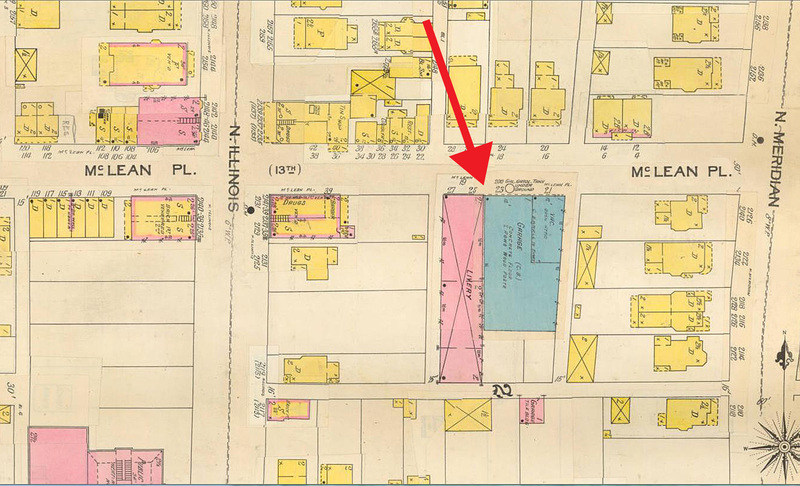 The Sanborn Fire Insurance Company map shows the same two adjacent buildings that are there today were there in 1915. 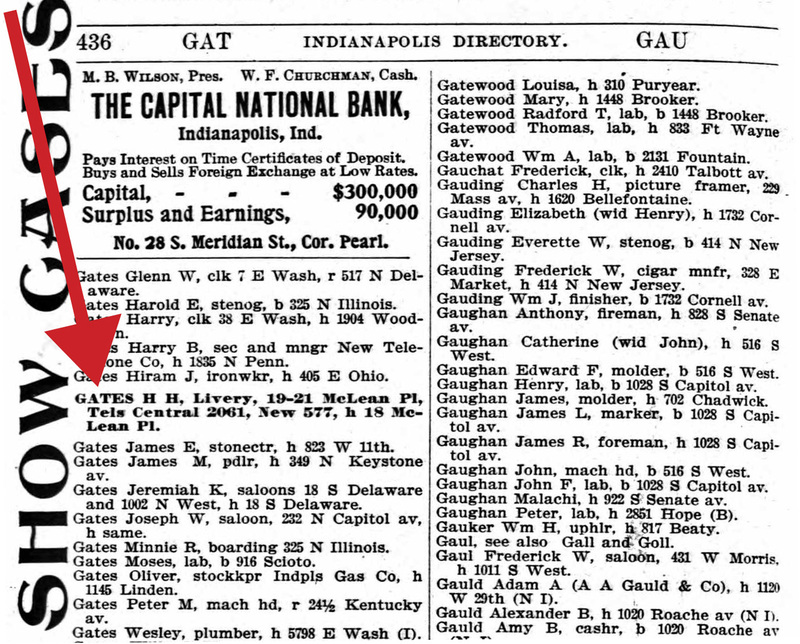 The name of the establishment varied slightly from one year’s city directory to the next. Names included McLean Place Horse Haven, McLean Place Horse Stable, and McLean Place Horse Livery. However, keeping horses in the building turned out to be fairly short-lived. 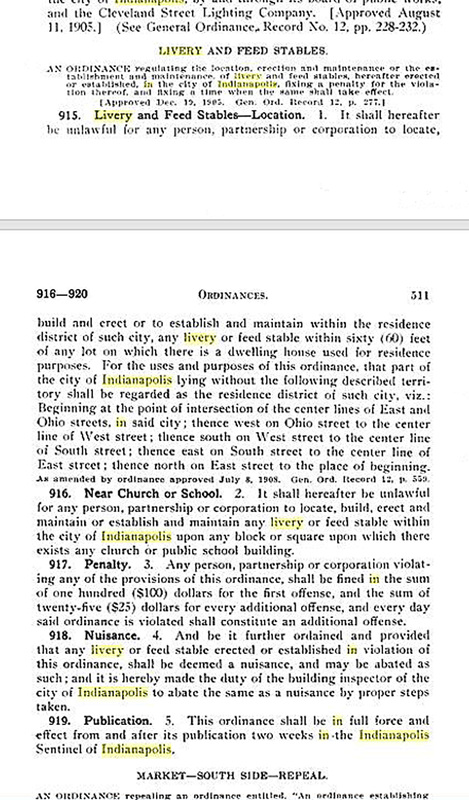 In 1909, the City of Indianapolis passed an ordinance that horse liveries could not operate within 60 feet of any residential property. As there were a number of homes near the livery on McLean Place, Meridian Street, and Illinois Street, the building could no longer house livestock and had to be converted to other uses. Within a few years after the city adopted the ordinance, the horse livery disappeared. 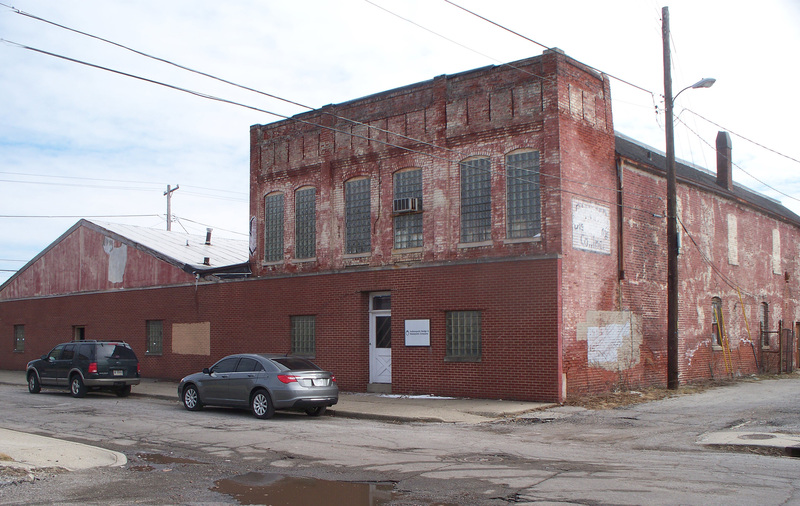 However, the building was subsequently referred to as an “automobile livery” in city directories. As motor vehicles were rapidly growing in production and in popularity, automobiles took the place of livestock at 25 McLean Place. In 1911, Alph L. Duggan was the operator. He resided five blocks north at 29 W. 27th Street. 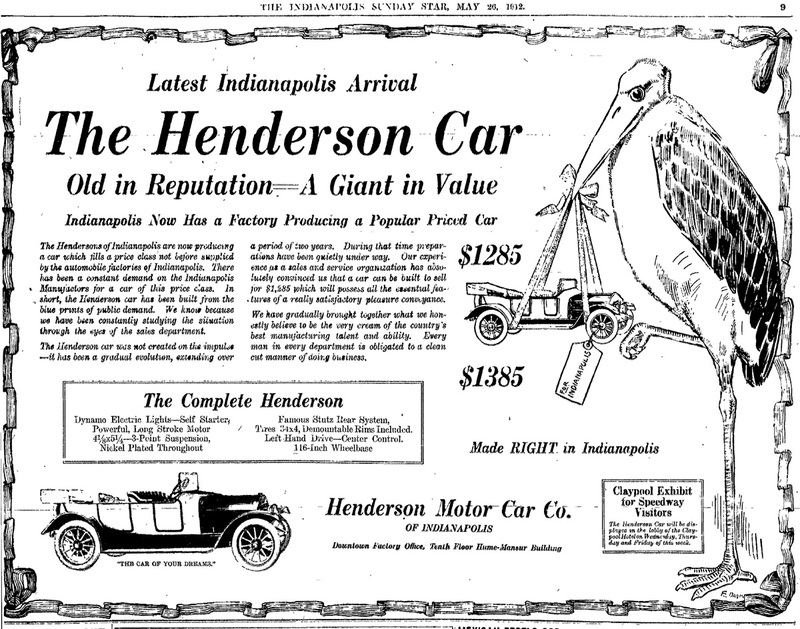 From 1912 to 1917, the owners were a father and son, Charles J. Linton and Charles A. Linton. The father lived at 2350 N. Illinois Street, and the son lived across the street from the building, at 26 McLean Place. From 1917 to 1933, the building was occupied by the Tiffany Laundry Company, whose president was Andrew L. Henry. He resided about six blocks east of the business at 2022 Park Avenue. 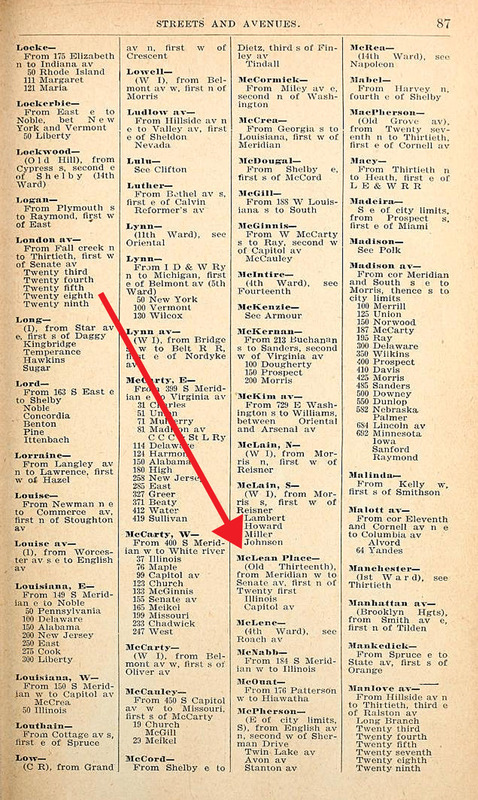 From 1934 to 1936, 25 McLean Place was listed in city directories as being vacant, as were several other addresses on McLean Place. This was likely related to the severe economic conditions during the Great Depression. From 1937 to 1942, Grover C. Shinn operated an auto repair shop at 25 McLean Place. He and wife Jeanette lived at 2218 N. New Jersey Street, about five blocks east. In 1943, the building was home to the McLean Place Furniture Company, whose owner was named John H. Talge. His home was about three blocks away at 2040 N. Delaware Street. In 1945, Central States Aeronautical Service was located at 25 McLean Place. Its manager was W. F. Long. 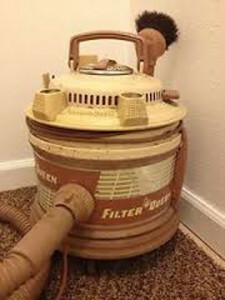 In 1949, the tenant was Sanita Chemical & Supply Company, which sold janitorial supplies. Its partners were J. Clender and Dave Berman. From 1950 to 1973, the Olinger Distributing Company operated its wholesale liquor and wine distribution from the building. 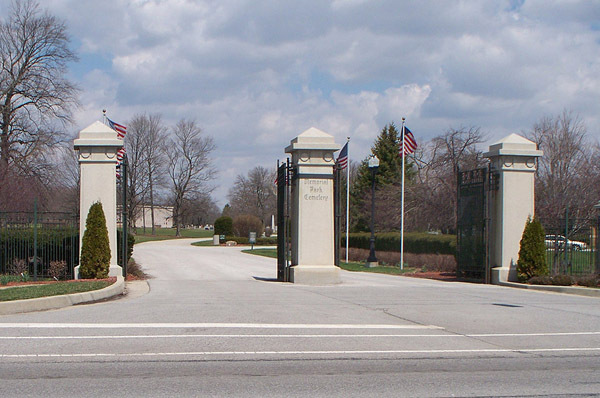 The founder and president of the company was Maurice F. Olinger. He and his wife Margaret (O’Connell) Olinger resided at 7001 N. Meridian Street. In 1973, Olinger moved its operations to an office park near E. 71st Street and Binford Boulevard. Glazer’s of Dallas, Texas, purchased 50% of Olinger’s stock in 1998, and the remaining half in 2010. In 2012, the Olinger name was retired, and the company is now called Glazer’s. From 1973 to 1978, the local offices of the Filter Queen Vacuum Cleaner Company occupied the building. The president at that time was Jack L. Dailey. 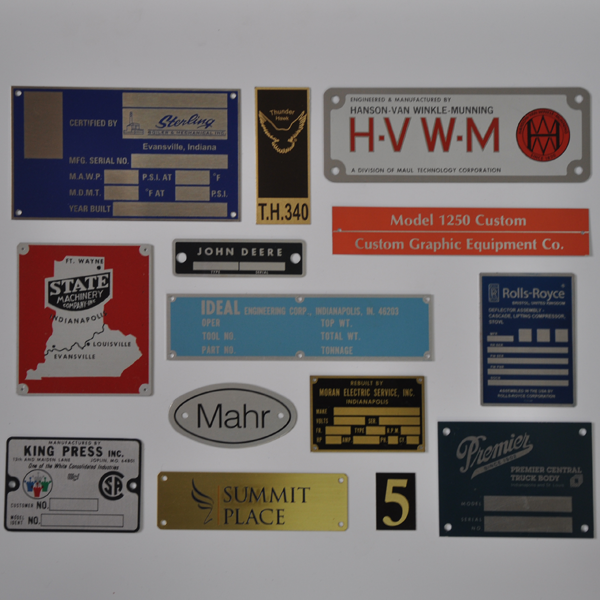 Since 1978, 25 McLean Place has been the home of Indianapolis Badge & Nameplate Co. The company was founded in 1948 and manufactures a broad range of identification products. It was located at 3823 Massachusetts Avenue for its first thirty years and has been at its present location for more than 35 years. The owner and president is David C. Crichlow. 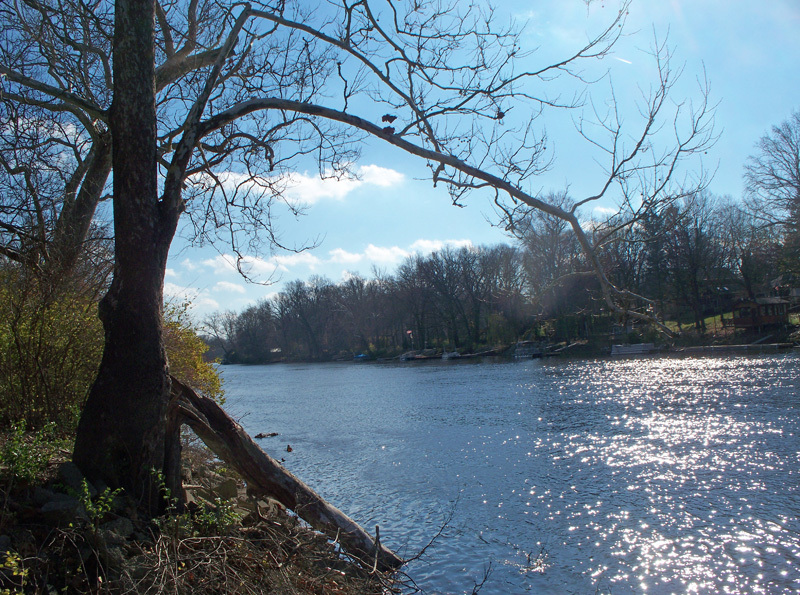 The property at 25 McLean Place is located within the boundaries of the Near North Development Corporation. If anyone reading this article has a photo of the building, memorabilia of any of its past occupants, or connections to the men and women mentioned in the article, please leave a comment below. Thanks for the interesting article. I spent many a day in that building as a boy. My father, Raymond Bodem, worked for Mr. Olinger and bought the company from his wife when he passed away. My memory is getting bad. Tiffany had to remind me that you did this article earlier in the year. 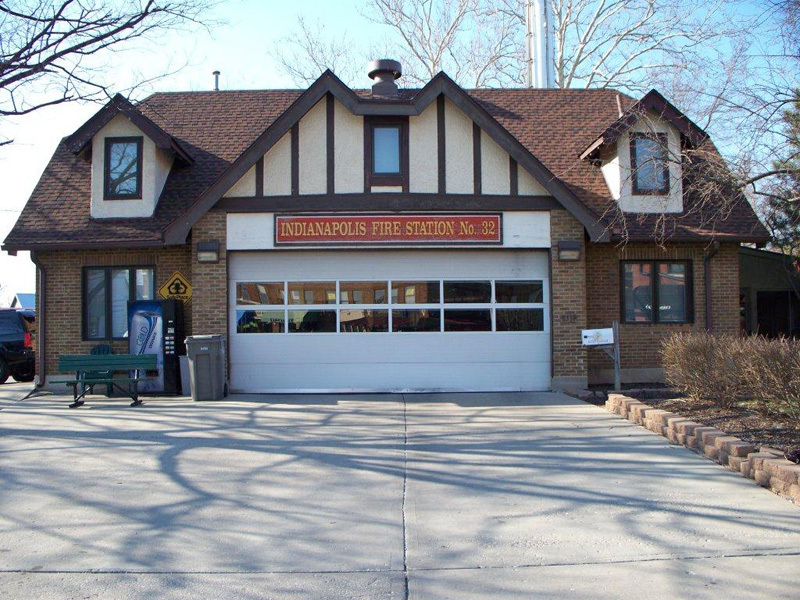 Debbie Picket was on the Indianapolis Years Ago Facebook page inquiring about any pictures of stables. This is the closest we can come to a historic picture. Sadly, wrecking permits were issued for this building last week. I always thought it would have made a good spot for a microbrewery. It’s being replaced by a 3 story self storage facility with ground floor commercial and co-working space.